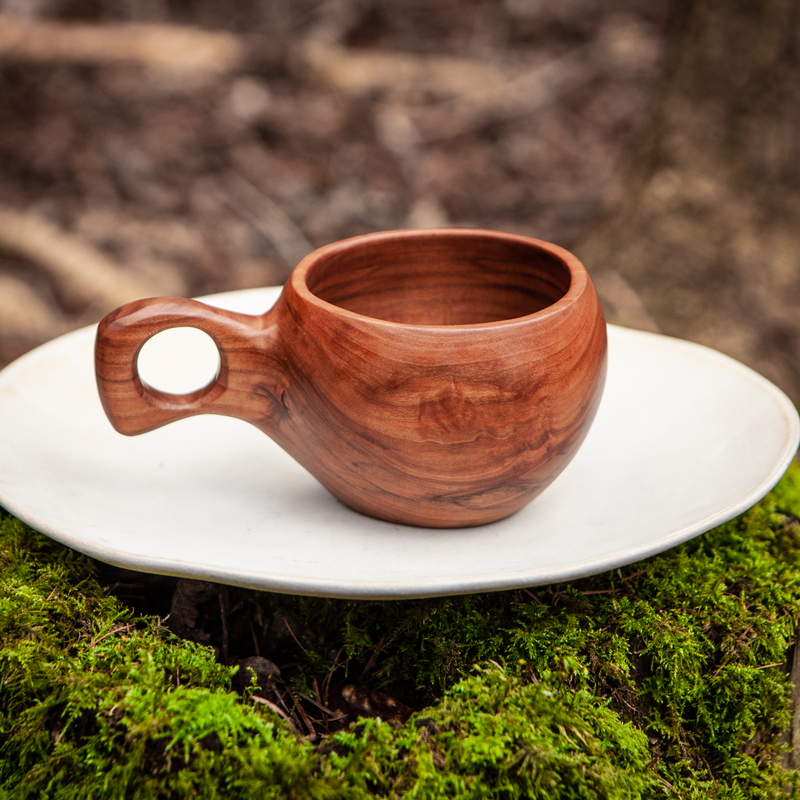 Large Kuksa (wooden drinking cup) from Wild Cherry. 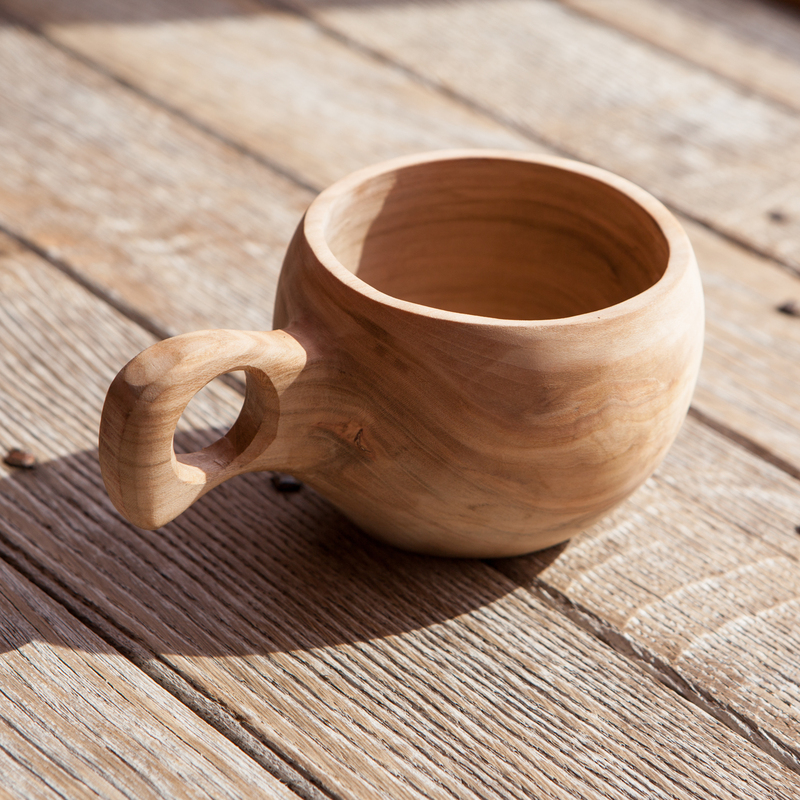 I undercut the hollow in this kuksa to maximise the internal volume as I wanted it to hold as much as a standard mug (imagine a tennis ball with the top 1/4 cut off and you get the idea). The wood has a swirling pattern on one side that looks like the rings of Saturn. The images show the kuksa pre-oil. 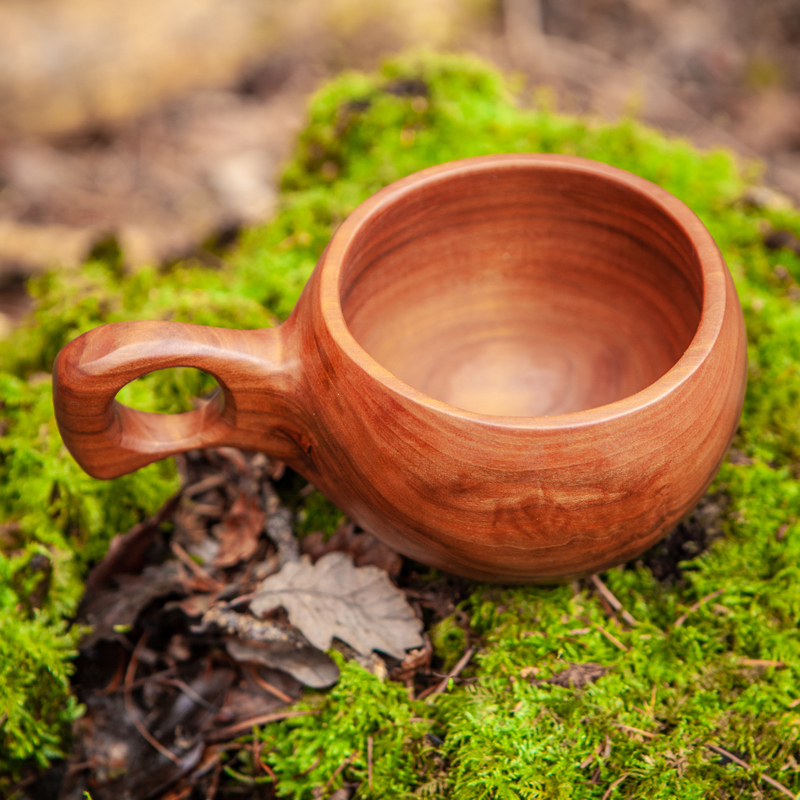 With the seal of food-safe oil, the kuksa has darkened further to a beautiful rich colour. You might be able to tell I really like this piece.